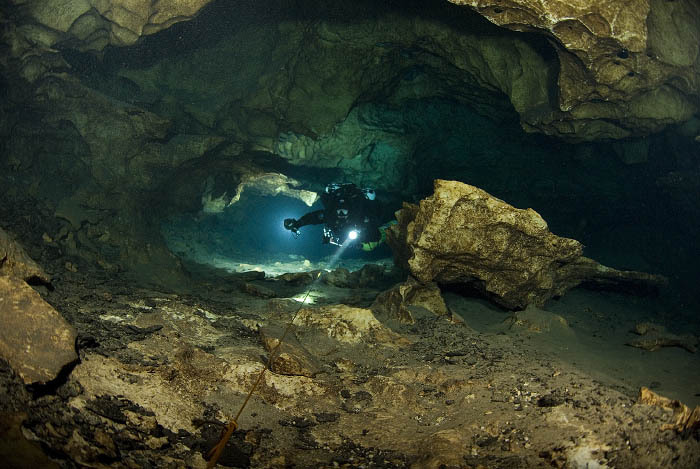 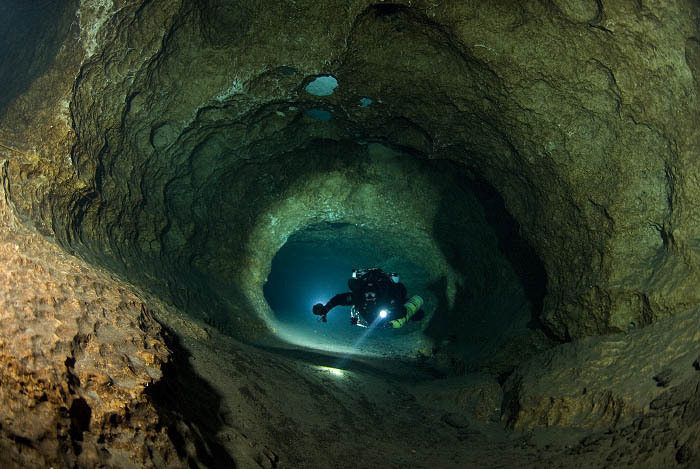 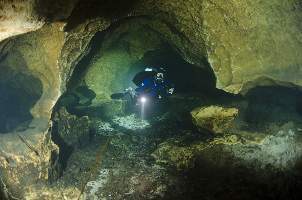 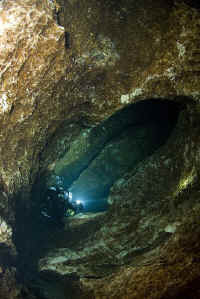 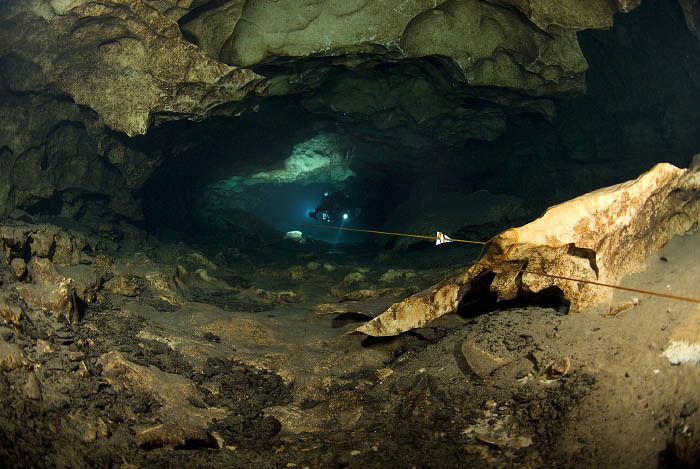 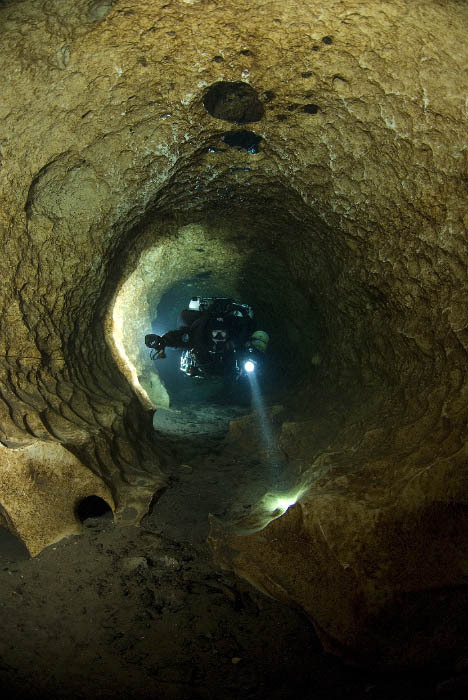 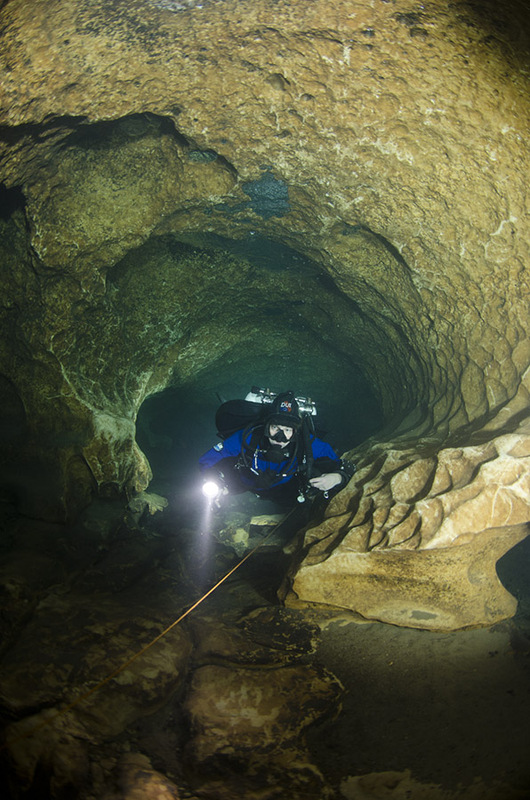 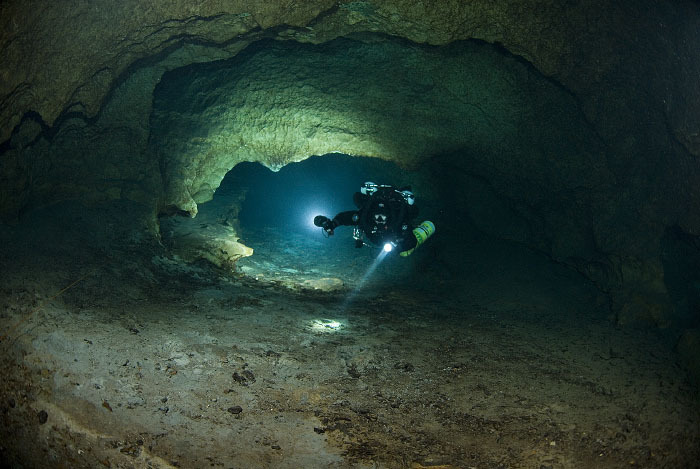 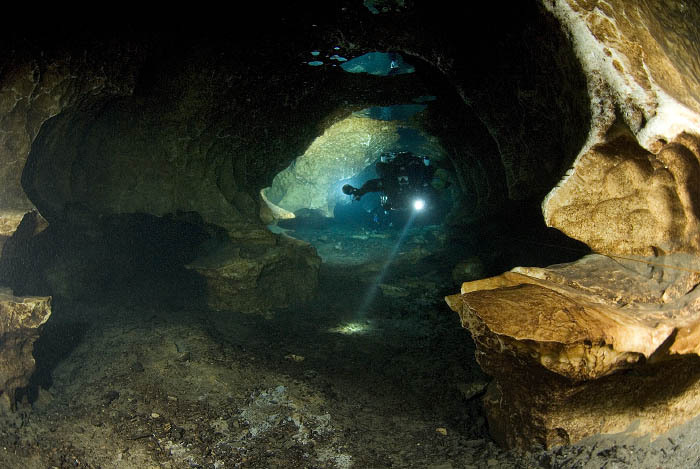 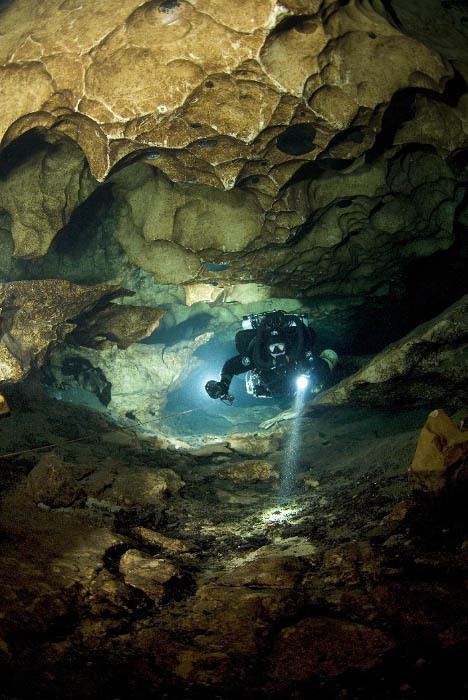 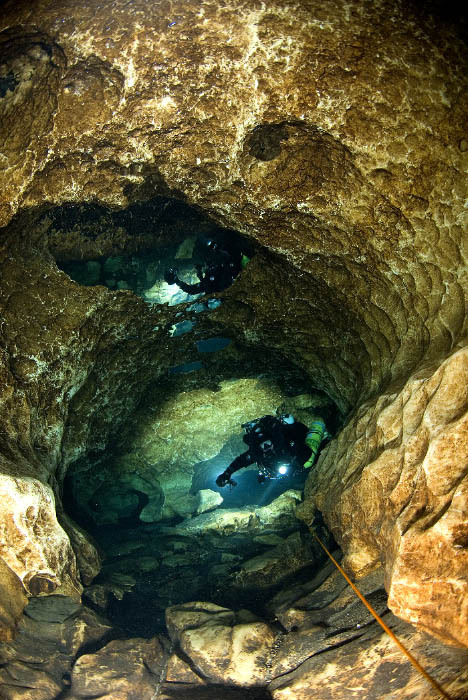 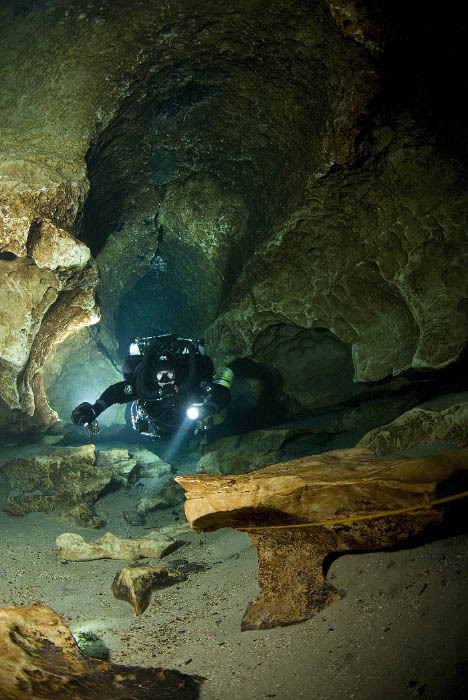 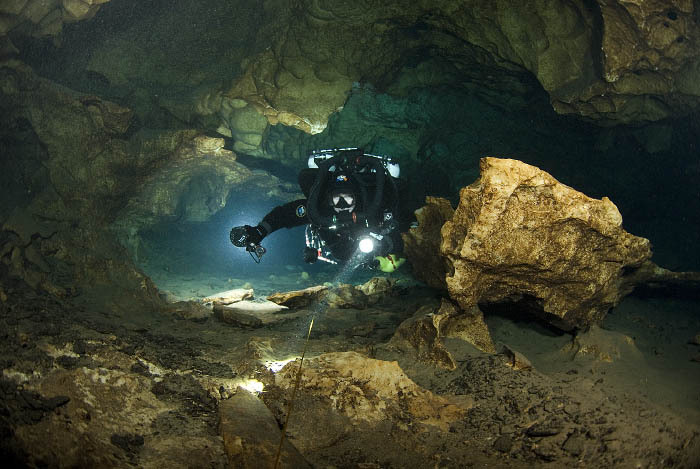 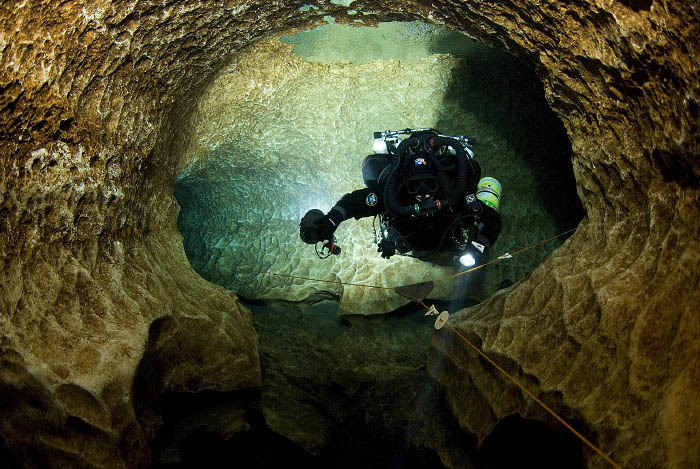 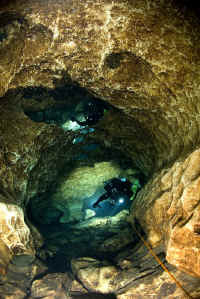 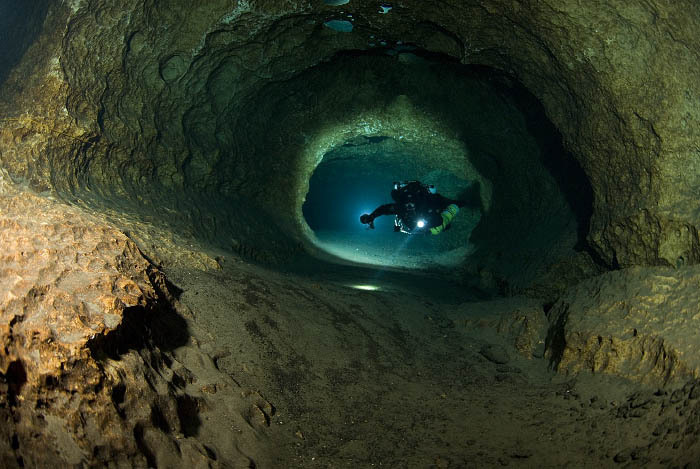 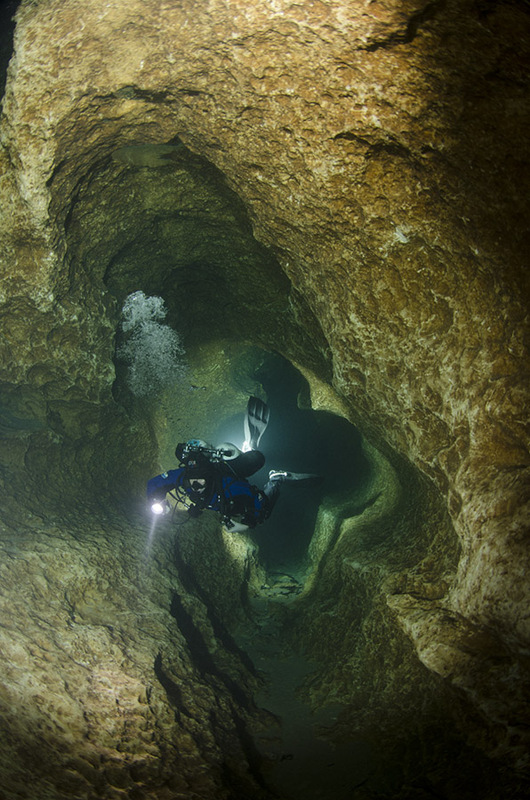 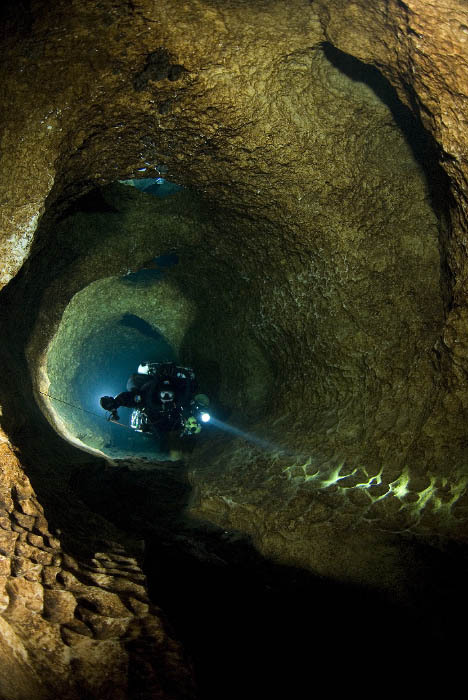 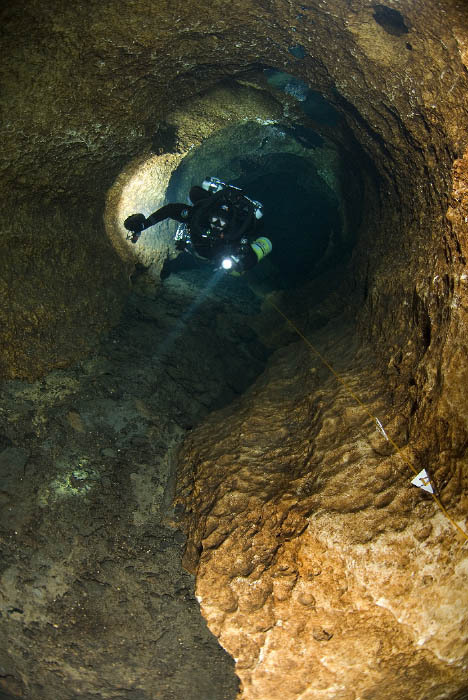 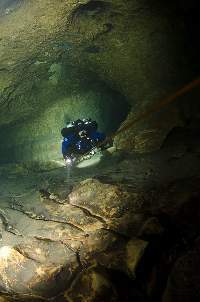 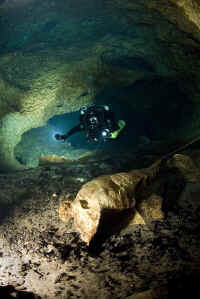 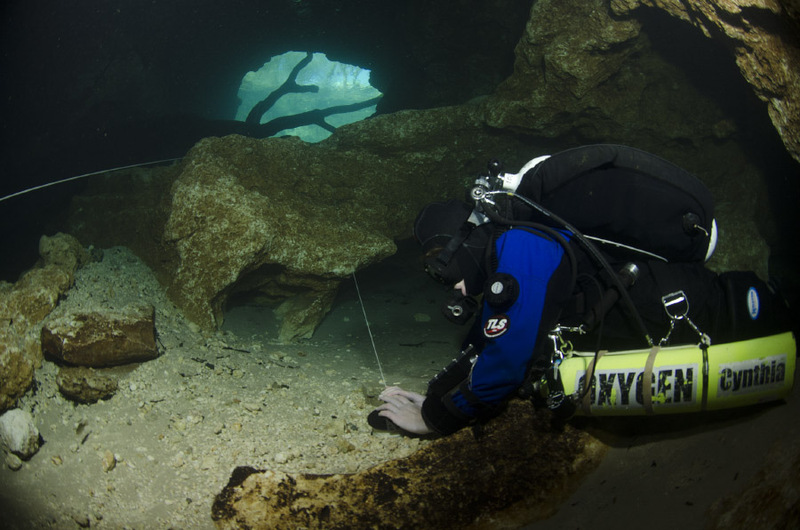 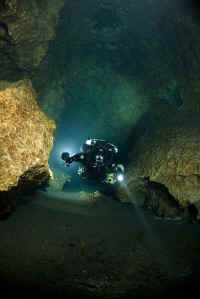 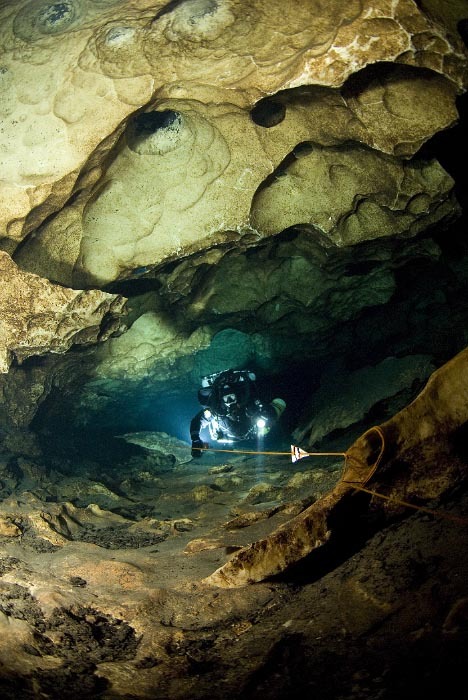 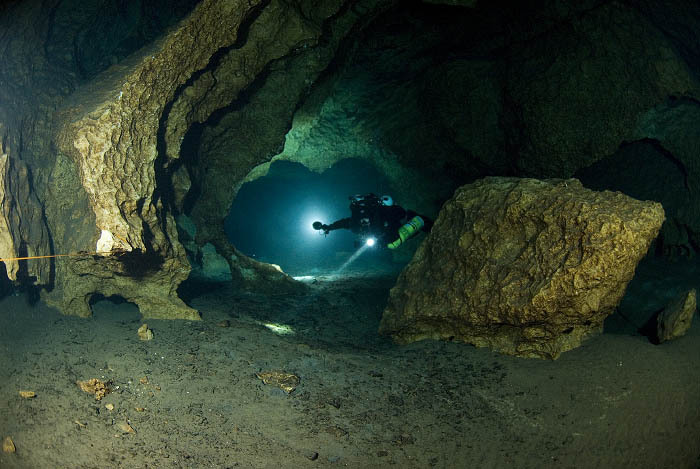 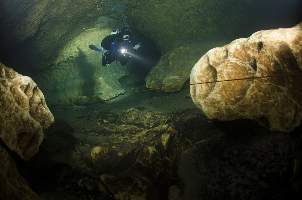 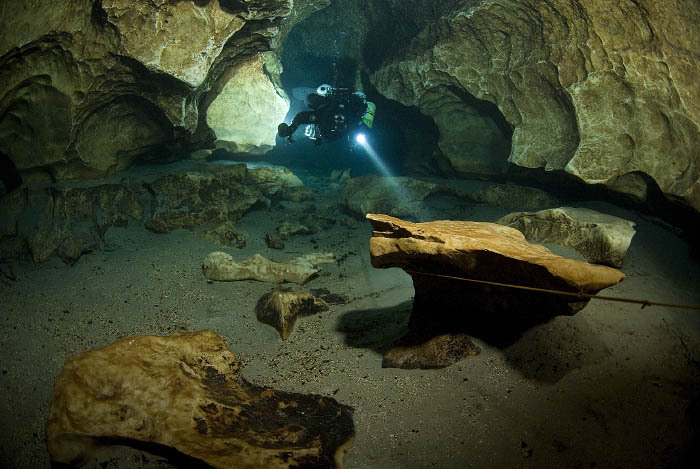 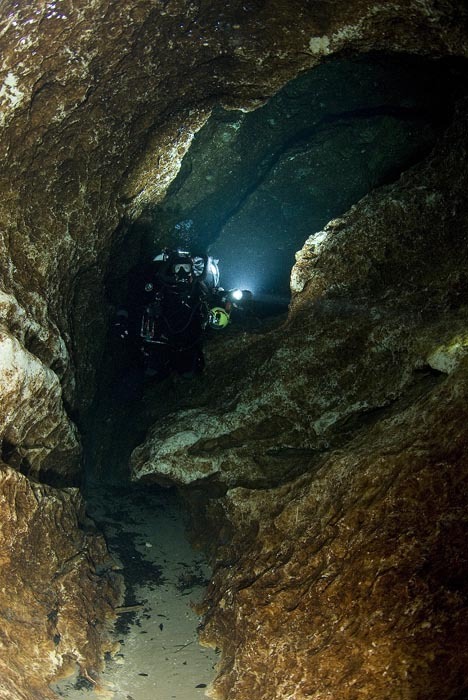 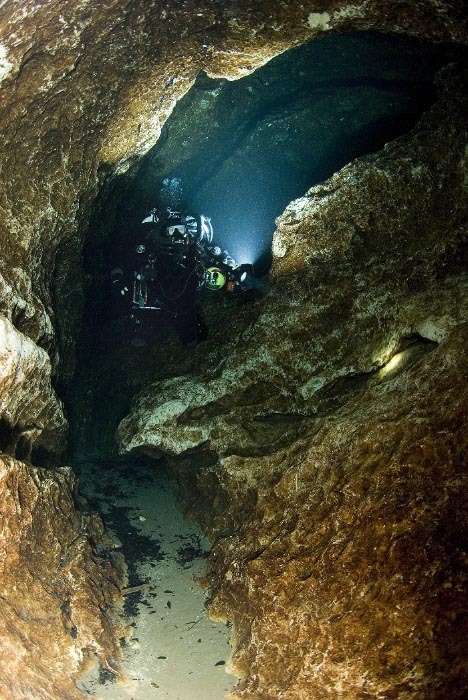 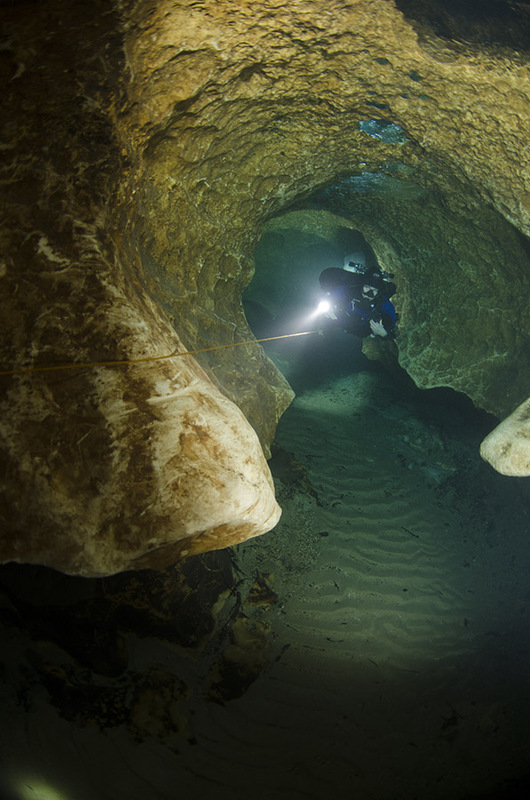 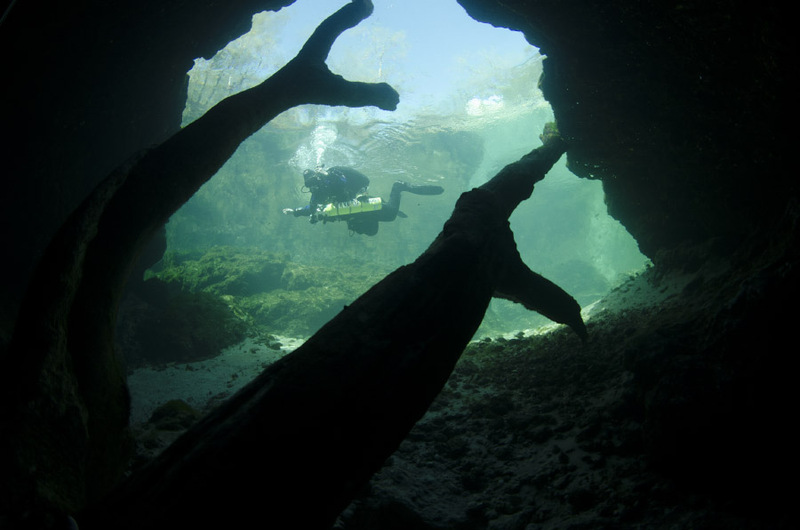 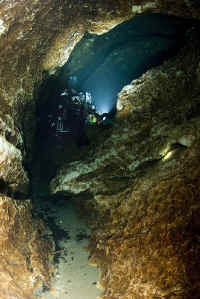 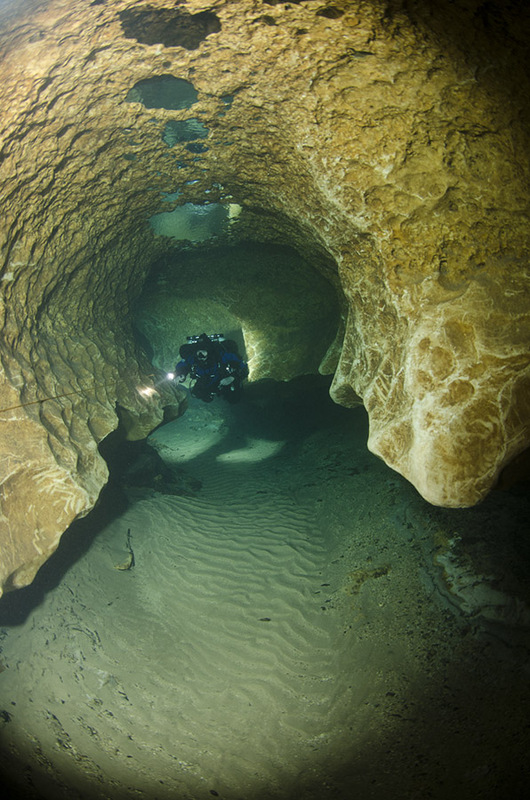 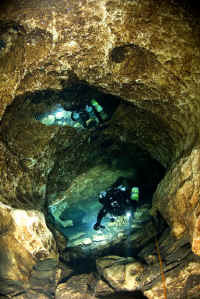 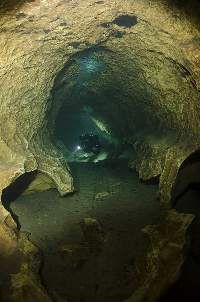 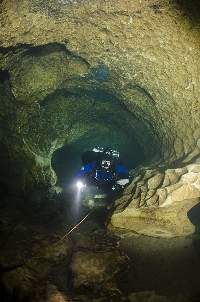 This was my favorite Florida cave when I was diving rebreather. 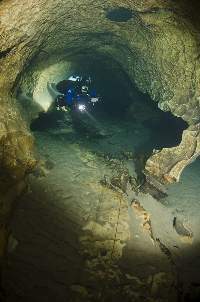 Similarly to Devils system, the water levels were so low in Dec 2007 and current so light that I did not have to pull and glide once and instead just swam into the cave. 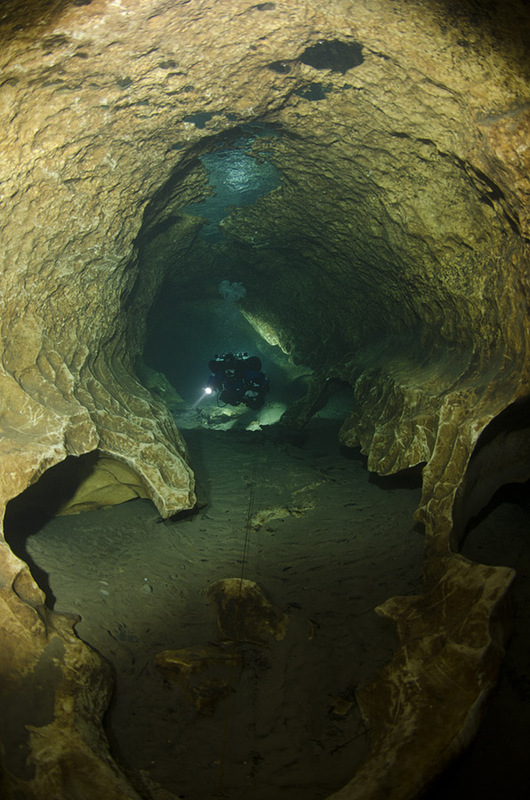 Buddy and I made it to about 1500 ft in along the main line and this was one amazing cave with endless variations of structures and colors. 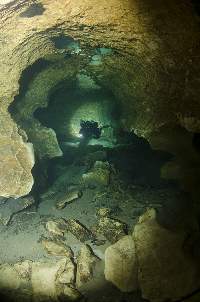 Tube-like formations (horizontal and vertical) were followed by large open passages, smaller passages with very intricately sculptured ceilings and back to tube formations. This cave made me want to read up on hydrology and cave formations. 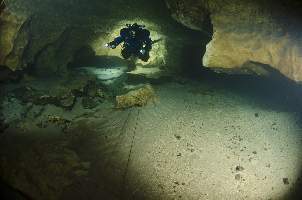 The images below are in chronological order taken while swimming back from 200 or so feet past the Florida room and big rock. 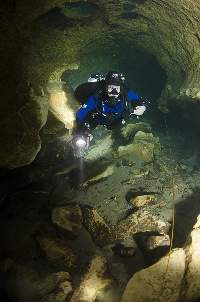 2012 images below. 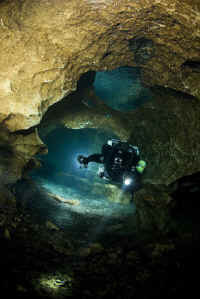 We were back on open circuit and the current was definitely present, so diving was a lot tougher. The very first shot in the series is the corkscrew descent right that takes you from 50 to 90 ft. Very interesting feature.